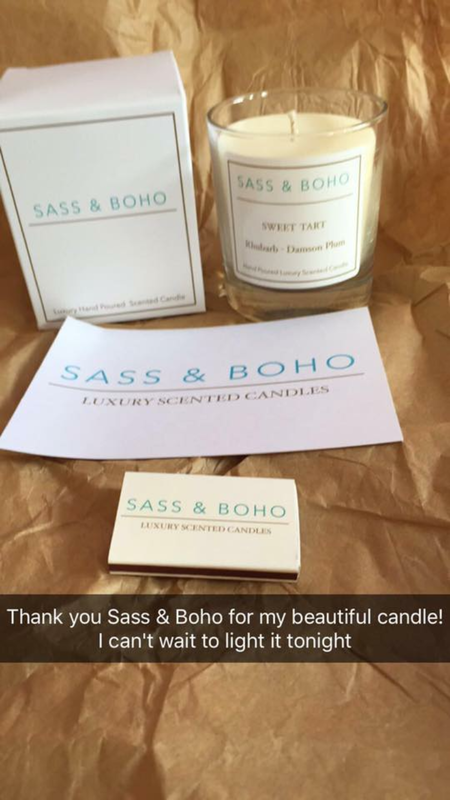 A couple of months ago the beautiful people from Sass & Boho sent me a beautiful candle called “Sweet Tart” and I could smell the candle even before I opened the packaging. The scent of the candle is Rhubarb & Damson Plum, so warm,lighly sweet and comforting and anyone who came into the house when I was burning it, commented on how gorgeous the house smelt. I’ve been saving it for when we have guests or if I’ve had a long day and I need to feel homely and snugly I’ll light the candle. It does definitely burn slower than most other candles I’ve had including Yankee and Jo Malone and I’m getting near the end of it now and that saddens me. Maybe Santa will bring me one for Christmas or maybe I’ll get one for my birthday. 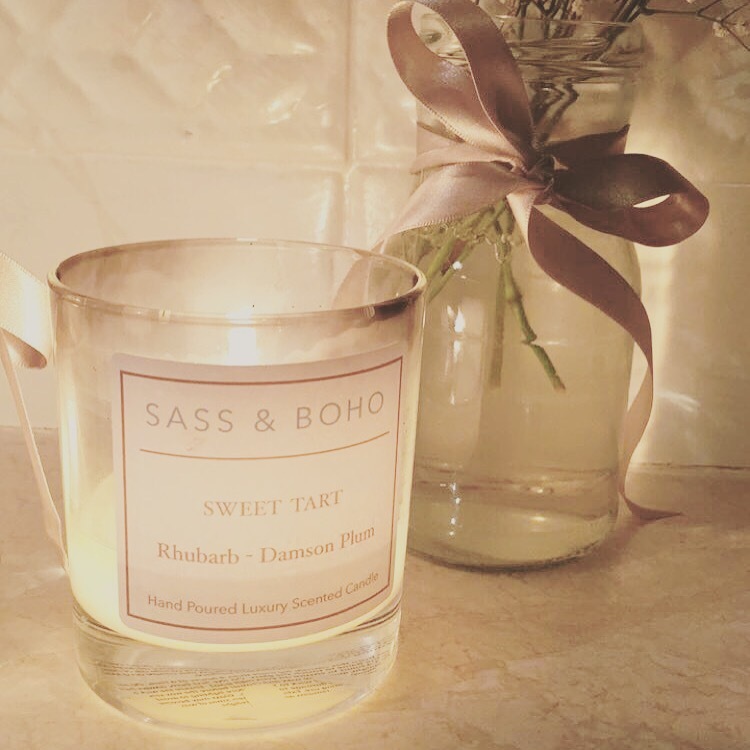 What they say: Sass & Boho is a Luxury Range of Hand Poured Scented Candles made using the finest premium essential oils, fragrance oils and a unique blend of sustainably sourced, eco-friendly soy, palm and vegetable waxes. No paraffin is used in our candles. Our wicks are 100% cotton with no nasty lead, resulting in a very beautiful, clean, toxic free burn. It’s our premium ingredients and skilled craftsmanship that has produced such a clean burning candle with no compromise to the amazing, long-lasting, strong; but not overpowering aromas that fill the home and leave you still smelling the scent long after the candle has been blown out. Each candle is individually hand poured, tended to and monitored for 24hrs before being left to cure for a minimum of 3 weeks. It is then given one final inspection, labelled, boxed and ready for its new home. Each scent has been uniquely developed by blending fragrance and essential oils to not only fill your home with the most beautiful aromas but to also give calming or uplifting effects and to elevate and enhance your mood.